We believe that what we wear should have some soul, character and tell a story. Just like the cars we own and drive. 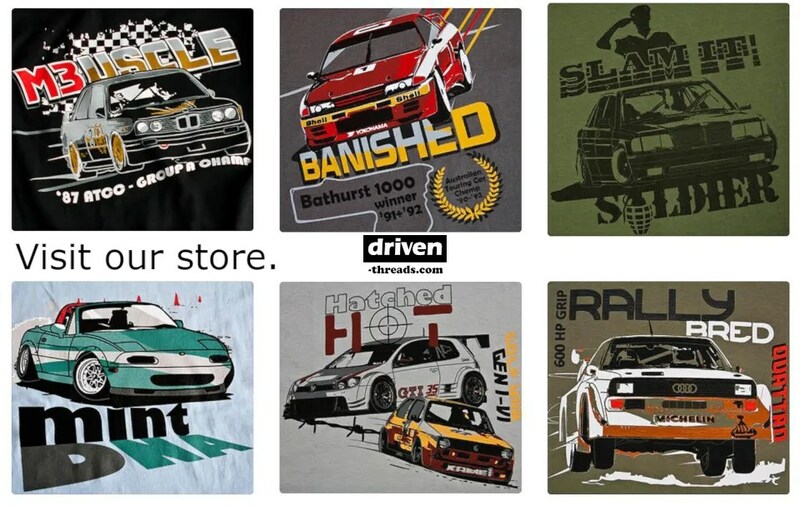 The Driven Threads brand is 100% Australian owned. Located in Melbourne, Australia we are proud to support local design businesses in the production of our original gear. Our unique t-shirt designs are proudly Melbourne designed and printed. We also offer a range of imported products for true car people at our Ebay store.